The beaches of Monterey are varied in their amenities but all are beautiful. The beaches are popular destinations for everything from a wedding on the beach to simply stopping by for a picnic lunch if you have some time to spare. During your stay, be sure to stop by one of these beaches near Monterey. Del Monte Beach is a family friendly beach that offers a number of amenities to enjoy. Enjoy the open space and take a stroll down the boardwalk that winds through sand dunes and other natural wildlife. Consider packing a lunch to enjoy at one of the many picnic tables that are located along the boardwalk. At Del Monte Beach, you also have the option of a nighttime bonfire as there are fire pits that are available. Bring your supplies for s’mores and enjoy a perfect summer night at the beach! San Carlos Beach Park is another excellent destination for those looking to spend a few hours at the beach. This particular location is a perfect place to have a picnic lunch or to just watch the waves for a little bit. There is not a lot of sand, which means it is not ideal for laying out a towel and sunbathing all day. However, with the picnic tables, benches, grassy lawns and sandy shores, it is a great place to take a break from your busy day and enjoy a little time listening to the waves. Monterey State Beach is a popular beach destination in the area. The Southern part of the beach is conveniently located near Fisherman’s Wharf so you can easily walk to the wharf from the beach and vice versa. The Southern part also tends to have gentler waves, which is great if you have little ones. The Northern part has larger waves and some even surf at this beach. The Northern part also has beautiful views of sunsets as it is not hindered by the nearby mountains. 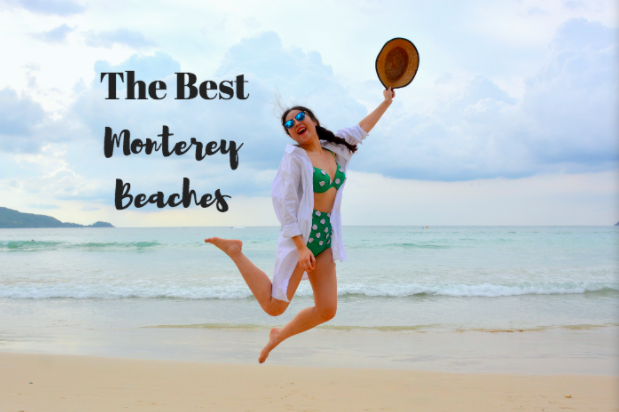 Either way, Monterey State Beach is an excellent choice if you are looking to enjoy some time by the beach.